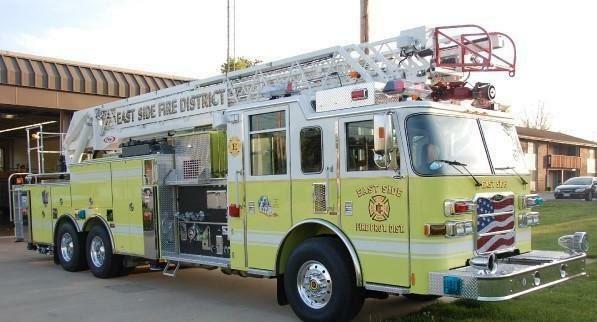 The East Side Volunteer Fire Department owns and operates the following facilities and equipment. Purchased in 2013, this apparatus is the department's newest fire engine. 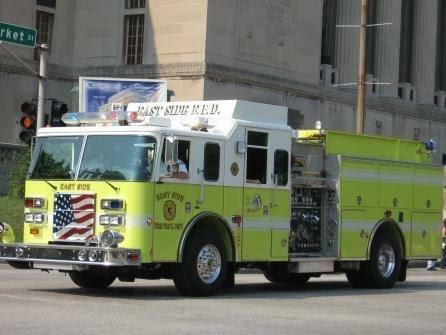 Built by Pierce, the engine seats 6 and features a 1000 gallon water tank, deck gun, bumper-mounted hydraulic cutters and spreaders, and 1/3 of a mile of hoseline - including 1000' (5") supply hose, 3x 200' (1 3/4") crosslays, 1x 200' (2 1/2") preconnect, one bumper-mounted 100' (1 3/4") 'trash line', and a 100' (1") rear-mounted rubber booster line. Purchased in 2009, this apparatus is the department's newest ladder truck. Built by Pierce, the truck seats 6 and features a pre-piped 105' aerial ladder, 500 gallon water tank, and 1/3 of a mile of hoseline - including 1000' (5") supply hose, 3x 200' (1 3/4") crosslays, 1x 200' (2 1/2") crosslay, and one bumper-mounted 100' (1 3/4") 'trash line'. Purchased in 1995, this vehicle is the department's oldest fire engine still in service, and now serves as a reserve engine. Built by Towers, the engine seats 5 and features a 1000 gallon water tank, pre-piped fog nozzle deck gun, and 1/3 of a mile of hoseline - including 1000' (5") supply hose, 20' hard suction hose, 3x 200' (1 3/4") crosslays, 1x 200' (2 1/2") preconnect, 400' (2 1/2") hose, and one bumper-mounted 100' (1 3/4") 'trash line'. 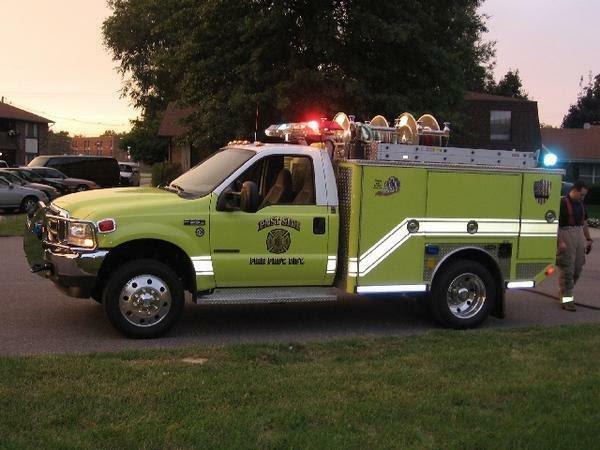 Purchased in 2006, this vehicle is the department's primary means of transporting a regional Breathing Air Cascade trailer, which is shared between East Side, Northwest, Fairview, Swansea, and Signal Hill fire departments. Built by Ford, the truck seats 5 and carries two large fire extinguishers. 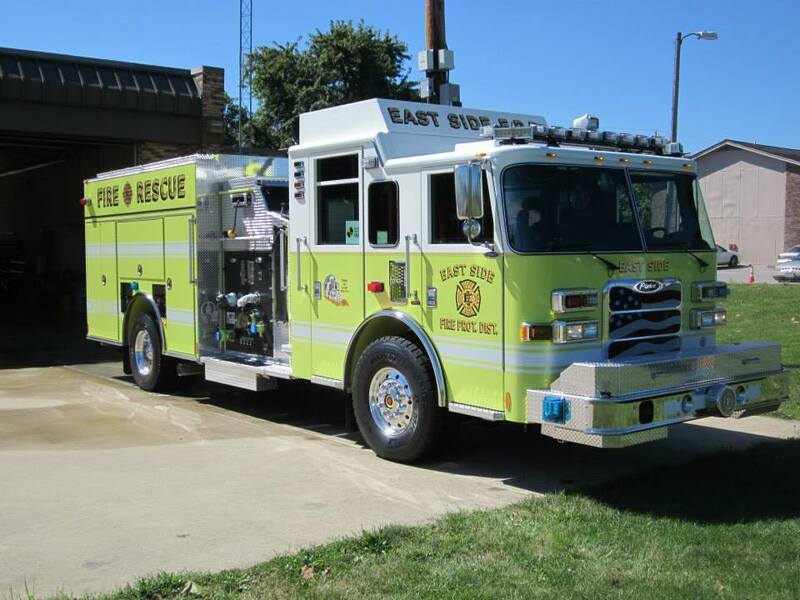 Purchased in 2013 and built by Pierce, this engine seats 5 and features a 1000 gallon water tank, smooth bore deck gun, hydraulic cutters and spreaders, and 1/3 of a mile of hoseline - including 1000' (5") supply hose, 3x 200' (1 3/4") crosslays, 1x 200' (2 1/2") preconnect, and one bumper-mounted 100' (1 3/4") 'trash line'. Purchased in 1998, this vehicle is the department's oldest ladder truck. Built by Pierce, the truck seats 5 and features a pre-piped 75' aerial ladder, 500 gallon water tank, and 1/3 of a mile of hoseline - including 1000' (5") supply hose, 3x 200' (1 3/4") crosslays, 1x 200' (2 1/2") preconnect, and one bumper-mounted 100' (1 3/4") 'trash line'. Purchased in 1998, this vehicle was manufactured by Chevrolet. Previously used as the Chief's vehicle, it is now used in a reserve capacity, as well as to transport up to 5 personnel at a time to emergency scenes and other official department functions. 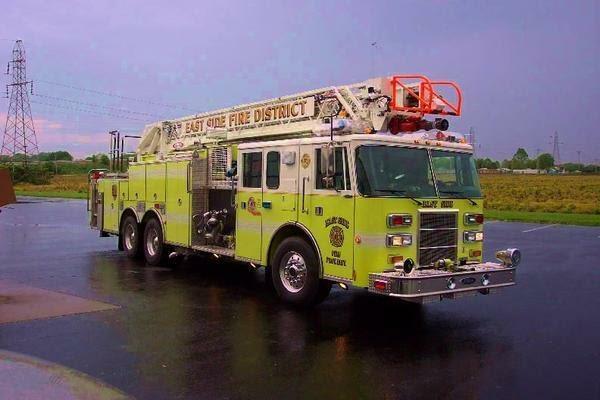 Purchased in 2001, this vehicle is one of the only dedicated brush trucks in Belleville. 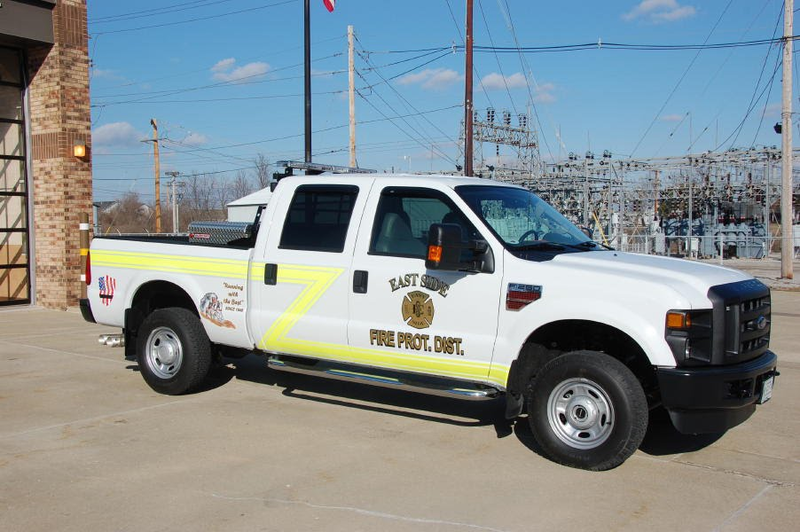 Built by E-One, the truck seats 2, carries numerous hand-tools and reservoir packs, and features a 300 gallon water tank, 1x 150' (1 3/4") crosslay, 1x 100' (1") booster reel, and 300' of (1 3/4") additional attack line. Purchased in 2016, this truck was manufactured by Chevrolet, and is the department's newest vehicle. Purchased in 2008, this vehicle was manufactured by Ford.